STATEHOUSE -- Indiana's first hate crime bill is headed for Governor Holcomb, who says he'll sign it. Senators gave final approval on a 34-14 vote to a bill explicitly allowing judges to point to the targeting of specific victims as grounds for a longer sentence. The bill piggybacks on an existing law which keeps count of crimes motivated by racism or bias against someone's religion, sexual orientation or ethnicity. Democrats supported Michigan City Senator Mike Bohacek's original bill but ended up voting against it, because the final version omits age, gender and gender identity. Bohacek argues those groups are still covered -- the bill says judges can consider bias based on traits "including but not limited to" those mentioned specifically. He says there are countless other groups which could have been included but aren't. But Bohacek's co-author of the original bill, Lafayette Republican Ron Alting, was one of five Republicans to join Democrats in voting no, saying he can't support a bill that isn't comprehensive. And the American Civil Liberties Union contends the attempt to cover everyone without listing everyone makes the bill unconstitutionally vague. Hate crime bills have been proposed at the statehouse and just as quickly dismissed for a quarter century. But the issue began to gather momentum in 2016, when Senate Republicans passed a bill similar to Bohacek and Alting's original bill. It didn't get a hearing in the House, and made progressively less headway in the Senate in subsequent years, until Holcomb made it part of his agenda this year. Indianapolis Senator Jean Breaux (D) accuses Holcomb of abandoning that commitment by supporting what she calls "an empty, hollow bill." But Holcomb insists the wraparound language ensures everyone is covered, and says it sends a clear message to those who seek to intimidate entire groups that they'll pay a stiffer price in court. 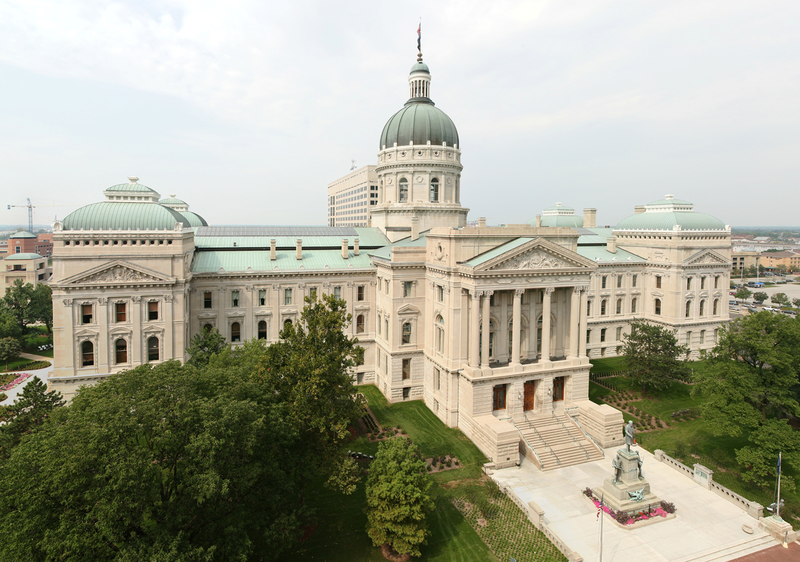 But the Indiana Chamber, which separately lobbied for a hate crime law says while the bill isn't perfect, it's a big step forward, and the most that was politically achievable. Holcomb and the Chamber have said part of their goal was to get Indiana off the Anti-Defamation League's list of five states without a hate crime law, and the Chamber is calling on the A-D-L to revisit its preemptive dismissal of the bill. The Chamber argues it meets the A-D-L's stated criteria of listing targeted groups and treating hate crimes as more serious than other offenses. Only race and religion are included in all 45 hate crime laws recognized by the A-D-L. Just 15 include age, and 16 include gender identity, with 30 recognizing gender.